To the delight of bird lovers, OMQ (Ore Mines & Quarries) Division of Tata Steel today organised a bird watching session with eminent bird scientist, Dr Justus Joshua at reclaimed Hill 1 & 2 of Noamundi Iron Mine. 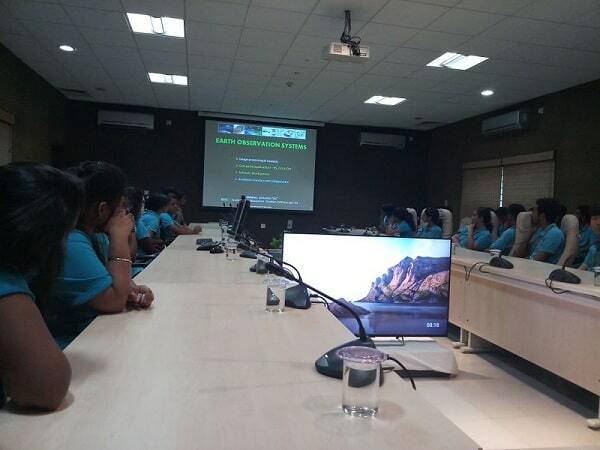 Pankaj Satija, General Manager (OMQ), Tata Steel hosted the bird watching session. Interacting with the nature enthusiast, about 50 in numbers, Dr Joshua said:" Visit to Noamundi is always a delight. The lush green ambiance and the rich biodiversity is something that pulls me back to this place, time and again. Winter is here and at this time of the year, a lot of birds come to dwell in these regions. As a bird lover, I am thankful to Tata Steel for providing me an opportunity to explore the biodiversity of the region." Noamundi that falls under the Saranda forest region lies in the peninsular zoo-geographical subdivision is a second home to a lot of birds. The Noamundi Iron Mine of Tata Steel surrounded by greenery has been conserving, enhancing and restoring biodiversity in its area of operation over the years. With ample trees along with food, winter season is the favourite touring destination for lot of migratory birds. As the sun begins to touch the floor of the forest this time of year, it creates a perfect dwelling ambiance for birds living in higher altitudes. The extreme climatic conditions compel the birds to descend to the foothills of lower regions like Noamundi. Last year, as part of enriching the biodiversity of the region, Tata Steel at Noamundi started a project on Niche Nesting. Niche, is the space selected by any animal or plant species for its feeding, resting sleeping, nesting, breeding, and growing (plants), which can be on ground, tree trunk, branches, twigs and leaves of plants, and different parts of a rock and other substrate. The concept of enhancing nesting niche is basically to providing nesting space for the hole or cavity nesting birds i.e. the birds those nests in hole of tree and other structures. Usually the holes in the trees are made by the woodpeckers and barbets, known as primary hole nesters. Once the primary nesters complete these holes are occupied by the secondary hole nesters. For the birds that cannot make hole Niche nesting is a perfect breeding ground. Biodiversity assessment revealed that in Noamundi there are 18 species of hole nesting birds. With guidance from International Union for Conservation of Nature (IUCN) scientists, Noamundi has developed 130 nest boxes and placed it at various locations in reclaimed areas of its site. The installation of artificial nesting on tree top not only adds to the resting space for the birds but also provides a secure breeding ground.